NEW ORLEANS - The Audubon Zoo has welcomed a new member to their primate family: baby Calliope. 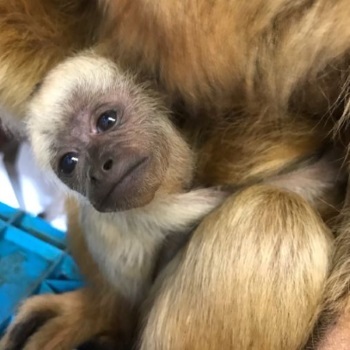 Animal births at the Audubon Zoo are typically left to nature, but this particular birth involved a rare occurrence of veterinary staff stepping in to deliver the baby howler monkey via Caesarean section. Senior Veterinarian Dr. Robert MacLean successfully delivered the primate after the mother, Salsa, underwent prolonged labor. He also says risks when performing a C-section are considered low to moderate when the procedure is done in time. Luckily, no issues arose with Salsa and baby Calliope. The zoo says both monkeys are happy and healthy.